If you're picking up a Nintendo 3DS at launch, you're likely suffering anxiety over which game to buy along with it. Let's face it: the 3DS launch line up isn't littered with winners. I also didn't get some of the launch games (I'm looking at you, Ubisoft) until the Friday before launch. So here's the next best thing: my impressions (and some full reviews) of nearly every Nintendo 3DS launch title. I hope it helps, in some small way, to make your buying decisions a bit easier. 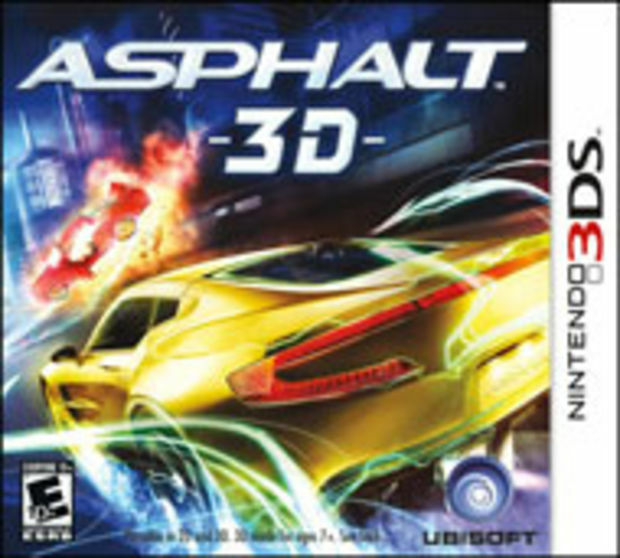 Developed by Gameloft and part of its popular racing franchise, Asphalt 3D is one of your two options (alongside Namco Bandai's Ridge Racer 3D) for racing on the 3DS. While I can't compare it to Namco's offering (we didn't receive a review copy prior to launch), I will say that Asphalt 3D manages to be a fun and mostly successful arcade racer for Nintendo's handheld. With 42 licensed cars and over 70 events (spread across 17 different environments), Gameloft packs a decent amount of content onto a 3DS cart. The game features a career mode with a hefty number of events (plus optional challenges), along with an XP system that tracks racer progression, unlocking sponsorships and more as you go. Factor in the game's use of StreetPass for things like ghost car data and more, and there's plenty of gameplay here. What it does have over the iOS port are its controls. You can play with either the d-pad or the new 3DS circle pad, both of which feel more responsive than the touch or gyroscope functionality found on other platforms. As for its use of 3D, this was one of the few games that even threatened to give me a headache while playing. Something about the mix of the game's speed and constant forward motion, maybe. This will probably vary from player to player, so don't take my word for it. (In fact, don't take anyone's word on 3D effects on these games; try them for yourself.) But on or off, it didn't make any different when considering the gameplay. 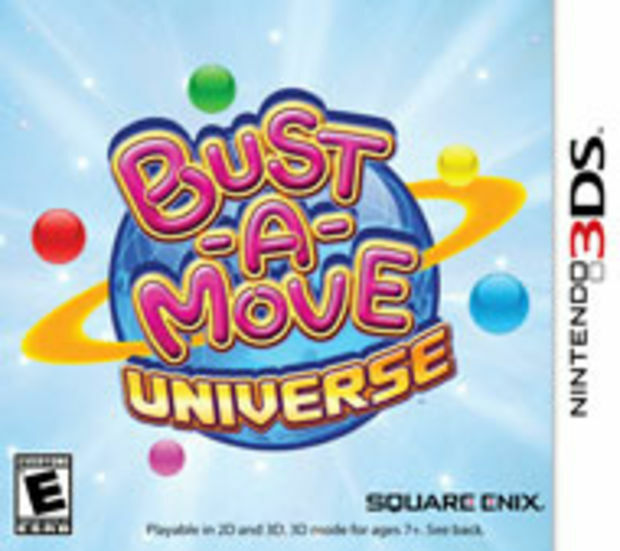 If you're looking for what appears to be a lazy, no-frills port of Taito's classic puzzler, look no further than Bust-A-Move Universe. The gameplay is exactly how I remembered it since last playing Bust-A-Move -- you shoot colored bubbles at like-colored bubbles and they go pop. The game does feature power-ups, like a laser that can take out a chunk of bubbles with one sweep. While I found them useful in getting out of some tough situations, I couldn't find any real way to use them strategically, so they acted more like "Get out of Jail Free" cards than something that had a significant impact on gameplay. In terms of game modes, you're probably going to be wondering if you're missing something on the menu screen when you first boot it up. There are only two: Puzzle Mode and Challenge Mode. The Puzzle Mode is a story-like progression where you complete various stages to collect keys to "save" your cute little pals. Each world ends in a "boss fight," most of which seemed to just include repeatedly shooting bubbles at a boss until it died. The Challenge Mode has you selecting a set time limit and then trying to bust as many bubbles as you can within that frame. It's all about a high score, but the game doesn't support any kind of online leaderboards, not even with your 3DS friends. Universe also looks like it was just thrown together, too. The game's bubble sprites and colors aren't a far cry from how they looked on the Java-based version I had on my phone six years ago. The 3D effects in the game don't add much to the gameplay, and are more distracting than anything. Overall, the visuals are serviceable, but don't seem to do anything to take advantage of the relatively powerful 3DS hardware. If you're a fan of these games, you're likely going to find some enjoyment out of it despite it being more of the same. It's disappointingly light on features (there's not even an included multiplayer mode! 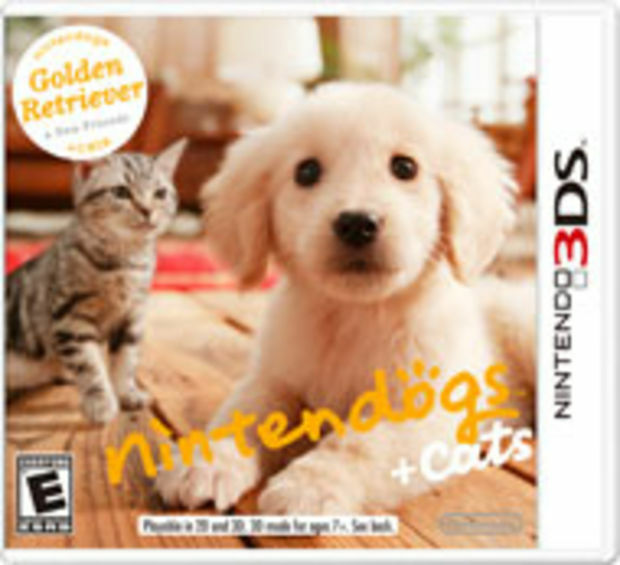 ), but you can at least take solace in knowing that at $29.99, it's the least expensive 3DS launch title. While the above quote is from a review of the Xbox 360 version of the game, which launched earlier this week, it most certainly applies to the 3DS version. TT Games managed to put together a solid action-platformer for the 3DS out of the gate, one that looks -- in my opinion -- the best in 3D among all of the launch titles. The game's cut-scenes (CG movies) look particularly stunning on the small 3D screen. 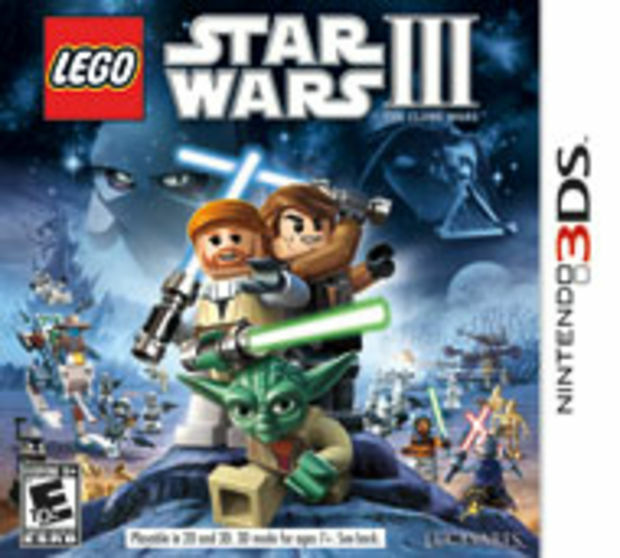 The question is, of course, do you want to spend 40 dollars on a LEGO Star Wars game for your handheld? That's going to depend on how much you like these kind of games; it doesn't do anything particularly new, and it's definitely a better experience on consoles (where you can play couch co-op with a pal). Still, there's a few hours of gameplay here, and it doesn't feel like they took any shortcuts for this handheld iteration. Full disclosure: I am not a football fan, nor do I spend a lot of time playing sports games. 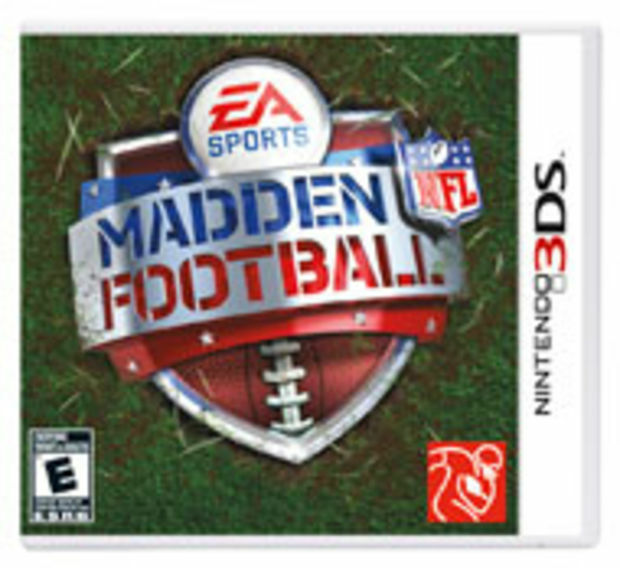 But even with that in mind, it's shocking how much Madden NFL 3DS just feels like a title EA pushed out the door to make the 3DS launch. For starters, the game is easily the least polished title I played from the launch lineup. The usual EA sheen is just not present here; from the game's menus to features, it feels like a pre-alpha version of Madden NFL 12 3DS or something. The game's season mode seems totally empty compared to what fans of the series expect. You only wanted to track your wins and losses? Because that's all you're going to get. Most football fans are sticklers for the statistics, right? The fact that they're completely ignored here is kind of mind-boggling. There are also no multiplayer modes present, local or Wi-Fi. It's a competitive sports game, and you can't play it competitively against another human. Huh. The 3D effects here, for reasons I can't entirely put my finger on, are the most headache-inducing of the games I've played. Even on the lowest 3D slider settings, I had trouble keeping an eye on the game's movements. Even the game's title screen logo made me want to barf. I don't have any insight into the game's development, so I can't speak to that specifically. But do get the feeling that if the developers had been given more time (let's say the months between now and when Madden titles usually launch, in August), the game would have benefited greatly. As it stands, it kind of seems a big disappointment for football fans. I suspect its follow-up will be the game Madden fans were hoping for at this launch. 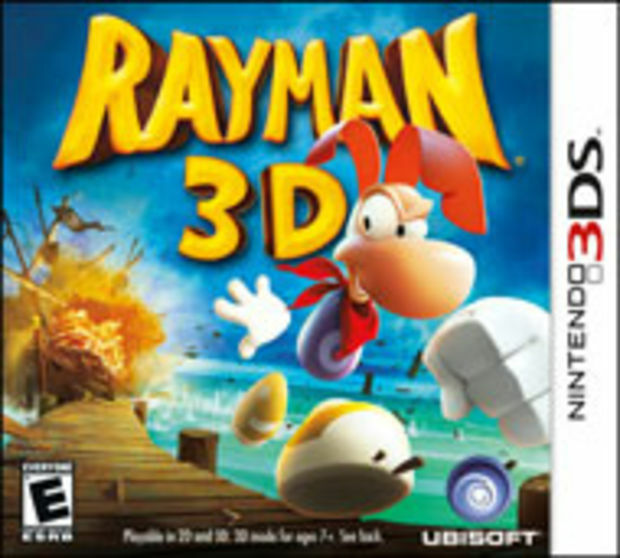 First off, know that Rayman 3D is not a fresh title for the Nintendo 3DS -- it's a port of Rayman 2: The Great Escape, which was originally released in 1999. That was 12 years ago, so it's no surprise that Rayman 3D is certainly showing its age... and it doesn't help that it's a bit of a sloppy port. This fact is made particularly evident by the fact that -- outside of the 3D effects -- nothing has been changed about the game. It is, in every way, Rayman 2. That's not the worst thing you could get, as the game is a classic 3D platformer in every sense of the word, with all of its lilly pad hopping, tree climbing, and exploration that comes with it. Rayman 2 is considered by many to be a true classic, one of the best platformers of its generation. If you're in that camp and you're ready to give it another go on the go -- this is like the game's tenth port or something ridiculous like that -- then by all means, Rayman 3D may seem like a sensible purchase. But if you have missed the joys of the title the first go around, you may be left wondering what all of the fuss is about. Because Ubisoft didn't do much to bring it "up to date," and there's technical problems abound. Textures are identical to the original, which means they sometimes look flat and muddy up close. The game's camera sometimes decides to be in the least convenient place possible when it comes to making an all important leap. The game's got a nice little visual boost with the use of 3D, but things look a little strange when you run into a flat object, like butterflies or other objects in the environment. While these things can be overlooked (it's just a port, after all), there are a host of other issues. For example: the game's framerate dips in some areas, and sound effects seem to trigger randomly or sometimes never at all. 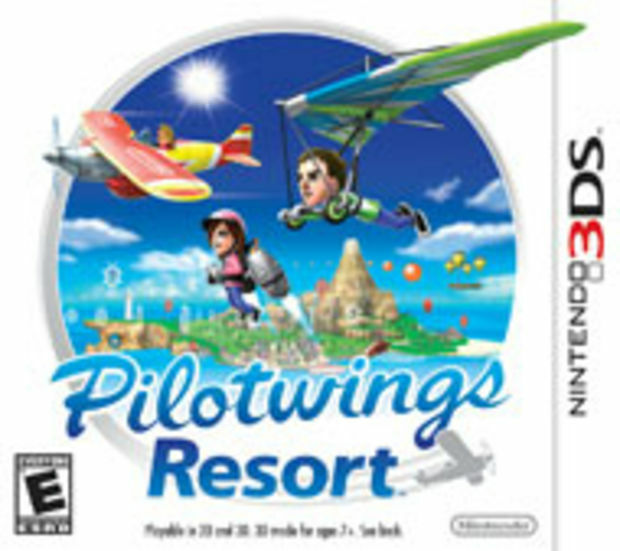 The lack of care in bringing the game to the 3DS is evident from start to finish. Despite some problems, Rayman 3D is still playable and can even be fun at times. It's not a substitute for Nintendo's announced Super Mario title for the 3DS (which can't come soon enough), but those looking for a platformer fix might be able to forgive its flaws. It's just a shame Ubisoft didn't take more care with the title, because with the right love, it could have been something really special. One of the few games we didn't receive in time for launch. Jim just received a copy from Namco Bandai today (the Saturday before launch), but with Jim not having a Nintendo 3DS unit yet, we won't have any impressions until launch day at the earliest. 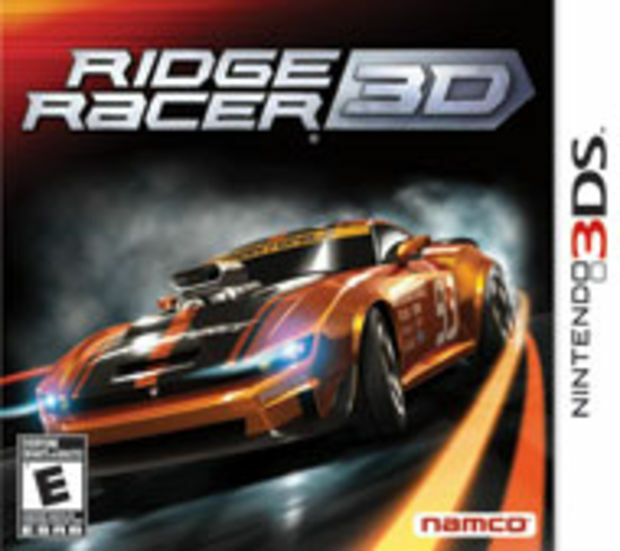 Same story here as Ridge Racer 3DS, although Koei rushed a copy to Jim Sterling earlier this week. He is the one of the only two persons on the staff who doesn't blackout when the words "Samurai" and "Warriors" come up in succession, so that makes sense. Impressions soon. I've only spent about an hour with the 3DS version of The Sims 3, but my first impression is that you're better off playing this game on the Mac or PC. If your response to that is "yeah, obviously," here's this: if you want to play it on the go, the iOS and Android ports are not only less expensive, and you'll probably get a better experience with them, too. 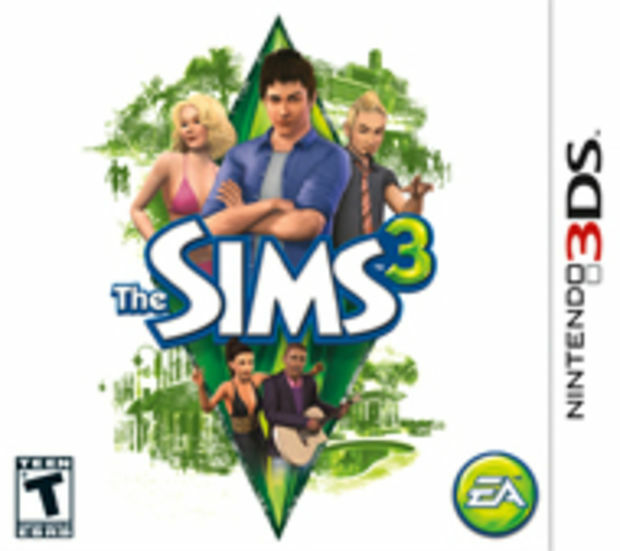 Visually, The Sims 3 on the 3DS is disappointing. Your little Sim people haven't lacked this much detail since, well, maybe the Nintendo DS version of The Sims 3. The 3DS is supposed to be more powerful hardware, right? So what happened? And why does the game sometimes slow down to a crawl when I send my Sim to the toilet? That gripe aside, the game plays like The Sims you'd expect, and it works reasonably well in conjunction with the handheld's touch screen. It also makes pretty cool use of StreetPass, where you'll be able to swap Sims with strangers, even when your game's not on. You can also take a picture of yourself using the 3DS camera and the game will generate a Sim for you that (in theory) looks like you. In my case, it didn't really work at all. I don't know what creep the game decided to make for me, but it didn't have a nose. Like, when you looked at it from the side, the nose just wasn't there. It was terrifying. I'm not getting any royalty checks from those Calvin Klein ads I did back in college, but I was a bit insulted with the final result. 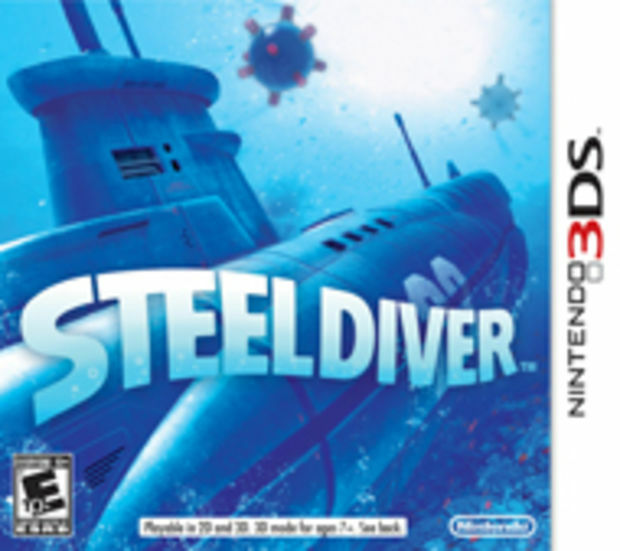 Anytime someone asked Nintendo of America President and COO Reggie Fils-Aime about "core" titles for the 3DS at launch, he said "Steel Diver." And when you asked him what game he was excited about for the 3DS launch, he said "Steel Diver." Turns out Reggie's got pretty good taste, as Steel Diver is certainly a fun little title, and one of the few "brand new" game concepts. Steel Diver has you using the the touch screen to manipulate a submarine's pitch, velocity, and more as you navigate a handful of the game's treacherous side-scrolling levels. For each stage you can choose from one of three vessels -- each with its own strengths, weaknesses, and abilities -- and the object of the game is to reach your goal with the fewest amount of seconds on the clock. There are also two other games modes: one where you'll use the 3DS gyroscope to move a periscope and shoot at enemy ships, another is a turn-based strategy style game called "Steel Commander" that can be played alone or against another player (locally, as the game doesn't support Wi-Fi). Steel Diver's a fun little package, but its biggest issue is that there's not much to it. You can probably finish all of the missions in all of the game modes in a few hours. There's an incentive to revisit levels and beat your times, but without a proper online leaderboard, you're just competing against yourself. At $40, you're going to have a lot of fun while it lasts, but will soon be wishing there was more. 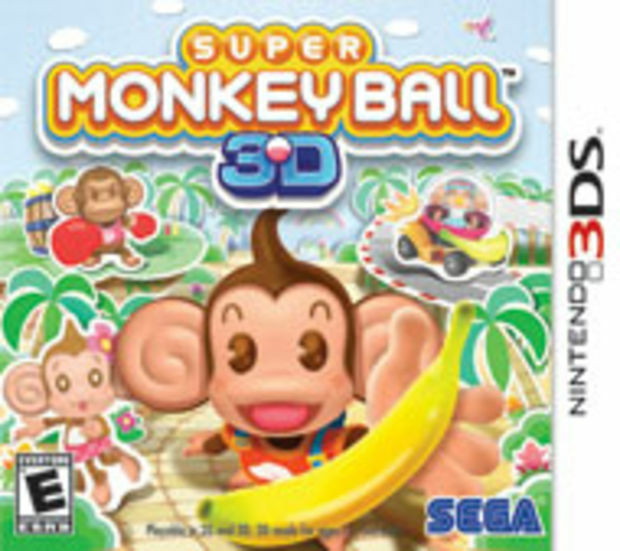 Sega's managed to throw together a decent little Monkey Ball package for the 3DS launch with this one. Of course, how much you get out of it will depend on where you stand on the rolling a monkey in a ball through mazes while you pick up bananas. It's a polished effort, but be prepared for a certain level of déjà vu to kick in if you're already familiar with the series. The game's main mode has you tilting the game world to roll an adorable little monkey around, collecting tasty bananas (although you never really get to eat them, which is frustrating) on your way to a finish line. On the 3DS, you can use the circle pad which works rather perfectly for this style of gameplay. You can also use the handheld's gyroscope for controls, literally tilting the world in your hands to set your ball in motion. I actually enjoyed using this control scheme, but be warned: it's useless in conjunction with the game's 3D. Because you can only view the screen head on when the 3D effects are on (otherwise things get "blurry," to say the least), the gyroscope control method and the depth effects don't quite play so nicely. While the 3D effects actually looked pretty nice in the game (even with the slider turned all the way up), it didn't add enough to the game that I wasn't willing to sacrifice it for my control scheme of choice. The game's biggest drawback is that you're not going to find much of a challenge here. Of the 70-some-odd stages, you never really run into anything remotely difficult. I don't know if that was intentional (keeping it simple for the 3DS crowd maybe? ), but it's definitely noticeable. Sega did include a kart racer mode that's pretty decent for a freebie, but it's obviously not the main focus of the game. It controls well and what courses are there seem well-designed, but there are too few to make this this mode feel substantial. (Also: you can't pause during a race for some reason, which is a brilliant design decision if I've ever seen one.) There's also a Monkey Fight mode which is barely worth talking about -- it's a throwaway attempt at a fighter with poor controls that quickly degenerates into a button-mash-a-thon. As an on-the-go fix for your daily dose of monkeys and balls, Super Monkey Ball 3D should hit the spot. It's nothing revolutionary and the concept is on the precipice of getting tired, but it's definitely a solid Monkey Ball effort. 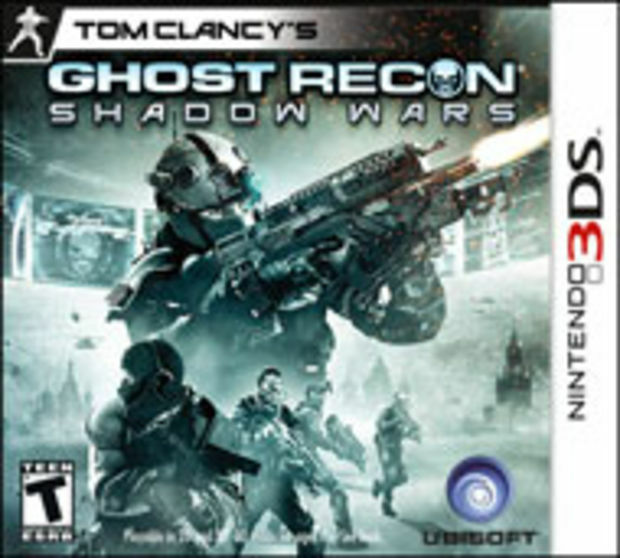 The real surprise of the 3DS launch game is most certainly Tom Clancy's Ghost Recon: Shadow Wars. If you're burnt out on the third-person military shooter action of the Ghost Recon series, this game is for you: it's a turn-based strategy game, and it's pretty damned good. If that's not enough to get your mouth-watering, it's designed by X-Com creator Julian Gollop. So while it's a shock that this game exists (and that it's a 3DS launch title that's good and has "Tom Clancy" in its name), it shouldn't be a shock that the game feels like X-Com Light. I've only spent about an hour or two with the game (Ubisoft got their launch titles out to us a bit late), but it's obvious Shadow Wars is an original gem in the 3DS' (mostly) middling launch line up of ports and remakes. 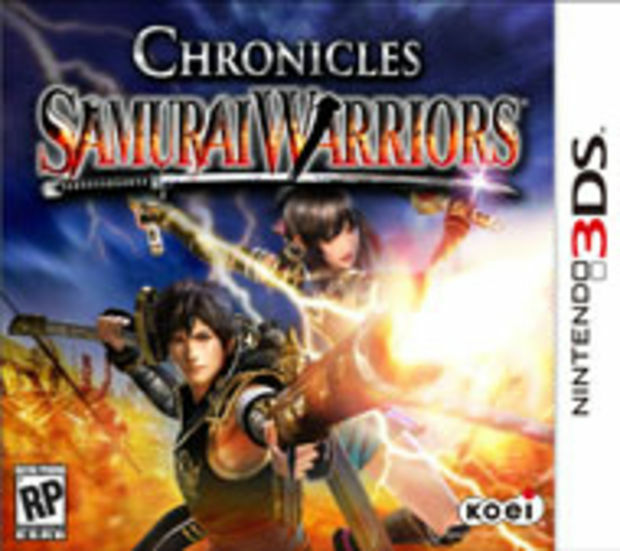 While it doesn't really take advantage of the system's unique capabilities (no Wi-Fi, no StreetPass support), at least it's an original title that plays to the system's strengths as a handheld. Visually, this isn't the best looking game of the 3DS line up, but I actually really like the 3D effects in action. The "up close and personal" nature of the combat (you're moving single units about) mixes well with the 3D depth effects. It's almost like you're playing with little army men, moving them about in a tiny box. While that might seem like a small and perhaps silly thing to mention, the effect is actually rather cool in practice. Beyond the fact that it seems like a solid strategy title, if there's any reason to buy Shadow Wars, it's to show publishers that original games can be successful on the 3DS. Looking at the launch line up, there are far too many titles that are just mini-versions of console titles. 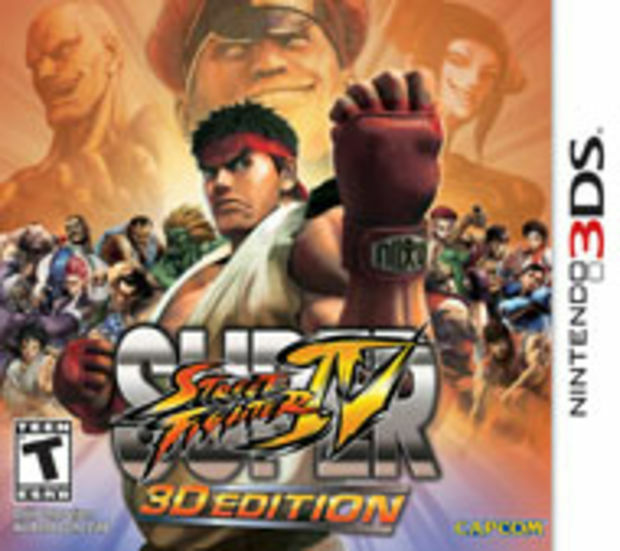 And with the exception of games like Super Street Fighter IV 3D Edition, they rarely live up to the originals. The success of the platform for me, as a gamer, isn't going to just be "good or decent handheld versions of games I like." I'm going to want to play them because they're experiences I can't get anywhere else. 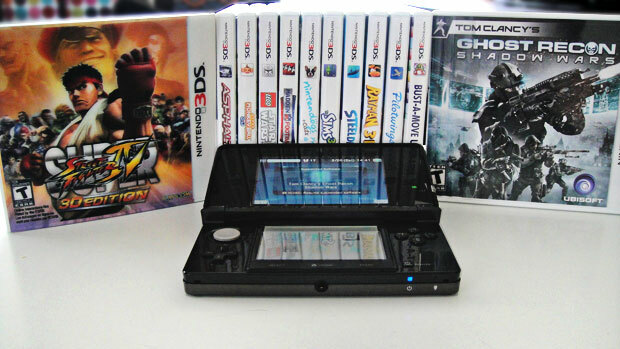 Here's hoping Nintendo's E3 Nintendo 3DS showing is a whopper.